Iain Pennington, head chef of The Ethicurean in Bristol, tells us why pickling is such an important skill for any cook to master. 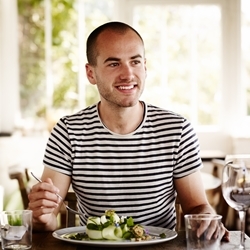 Iain Pennington is a head chef and owner of the award winning restaurant, The Ethicurean. Pickling is an ancient food preservation method but something that is still both useful and hugely beneficial to both chefs and home cooks today. At The Ethicurean, pickling was the very first method of preservation we learnt. We were amazed at both how easy it was to do and how it always resulted in a delicious end product that added so much vibrancy to the dishes we used it in. 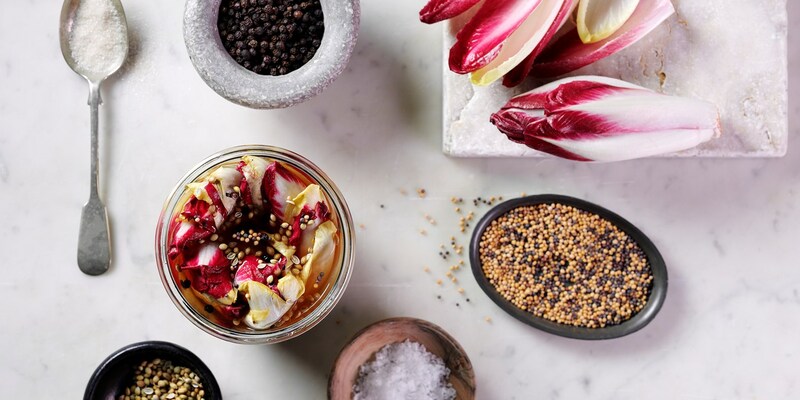 The more we understood the process, the more we began to experiment with different produce and flavours and discovered the many benefits of pickling. The first benefit of pickling clear to us was the ability to preserve fresh produce in a sustainable way. We have all, more likely than not, been guilty of buying a few too many items for the fridge at home. But what I love about pickling is that if a busy week has taken you away from cooking, a quick and simple pickle can rescue the week’s ingredients you bought, thus saving you money and ensuring nothing goes to waste. What’s more, you’ve then got some awesome pickles to jazz up your next few weeks’ worth of meals! Pickled products intensify flavours and do not require refrigeration, so a simple Kilner jar full of pickled vegetables can sit on a dark shelf for a year, just waiting to be re-discovered and adding some deliciousness to your dishes. Vinegar and acidity, in my opinion, is still one of the most underrated and underused tools in a chef’s larder. Acidity plays such an important role in creating a dish. It can give the illusion of something being ‘juicy’ when in reality it’s not. This is down to the acidity in the food causing you to salivate. A brilliant way of countering the effect of an overly-fatty dish is to use acidity. Too much fat in a dish with little or no acidity becomes too rich, and for me, can be quite sickly. Again, acidity creates saliva, which helps break down the fat, cleans your mouth and cuts through the richness of fatty food. One of my favourite cuts of meats is a good pork chop, which is always paired with something acidic. This is why pork terrines and pickles work so well together; simple, fatty and acidic working in harmony to create something delicious. The greatest thing about pickling is that it’s so easy to do and gives a sum greater than its parts. It adds deliciousness to meals and preserves food for scarcer times, not to mention that it’s good for us!